We tell stories. They are an important part of our faith. They are a way of teaching—they are essential in the way we learn. Like Passover, Hanukkah is a time to recall the historical miracles of our faith. It is a time that we set aside to recall the past and relate it to our future. Each night affords us the time to delve into our rich history and discuss the historical, prophetic, practical, and inspiring nature of this celebration of our people and our faithful God. In Yeshua, the Hanukkah story is your story. As a Messianic Jewish teenager, I remember bragging that I would get gifts for eight days rather than just one. I used this to either one-up my friends or make a poke at their holiday. Yet, looking back, I do not recall any gifts that I received (and I received a lot of them). However, I do remember playing dreidels with my brothers, eating my mother’s latkes, and the hanukkiah quietly burning in our family’s home. Those are the memories that I cherish. Conversely, I also have fond memories of Christmas. I remember family times, hot cider, and my older brother’s contagious excitement to open the gifts in the morning. With all this said, we have worked to create an environment in our home of warm family memories, good foods, and dedicated times of laughter and sharing. Focus your family on the spiritual nature of this time. Do not allow this time to be considered a substitute for Christmas or the commercialism that it represents. Even though many secular Jews have done exactly this—keep this week spiritual. The following list includes a suggested traditional reading for Hanukkah that I came across several years ago, and our own suggested readings for each day of the celebration. 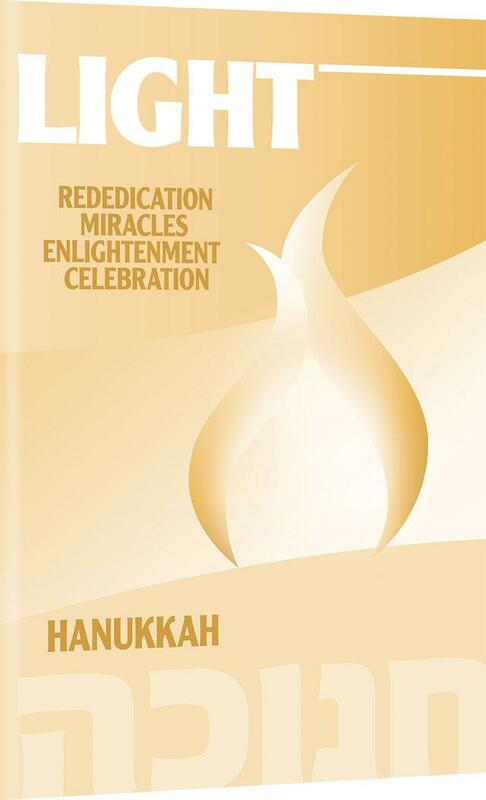 This guide not only represents the time-honored commemoration of Hanukkah but also gives you a tool to present and discuss the spiritual nature of this season with additional materials. While such a devotional guide is never used in the traditional celebration of Hanukkah, it does help create an environment of learning. More than anything we suggest that you tailor this holiday to relate to your family. There is no set structure for observing this historical event—flexibility should be your guide. First Fruits of Zion has created a guidebook for Hanukkah entitled LIGHT: A Hanukkah Anthology. 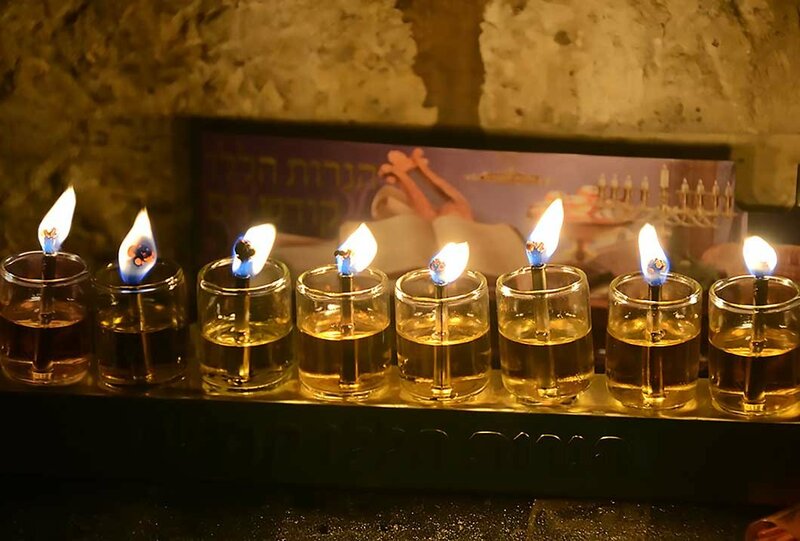 LIGHT provides in-depth, biblical understanding while demonstrating why the celebration of Hanukkah is relevant and important for all believers. You will be surprised to see how the events of the Hanukkah revolution are spelled out in the prophecies of Daniel, and will be encouraged to realize that the celebration of Hanukkah is relevant for every follower of Yeshua. To make the celebration of Hanukkah special, in our experience, it is essential to separate these nights from our normal routines. 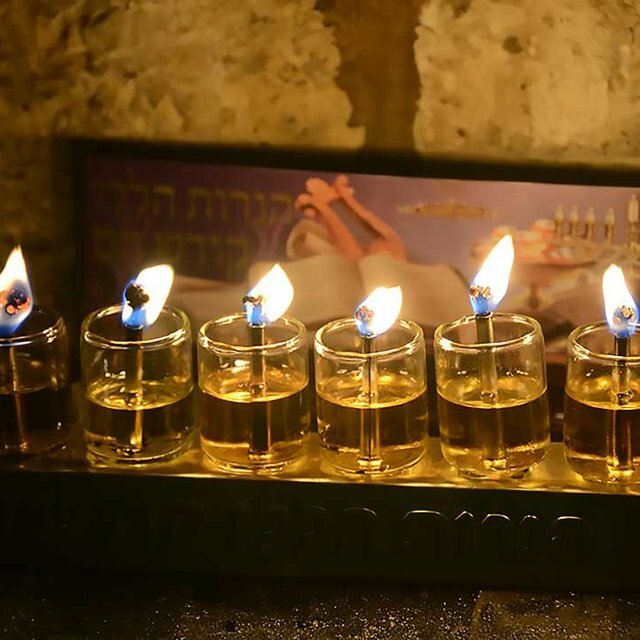 With this in mind, we have structured this guide to provide solid discussions of a spiritual nature that you can share around the family hanukkiah. We have also provided teachings for you to read, digest, and incorporate in your celebration with others. These teachings are specifically connected to the outline for each night and should give you some great background material for your discussions.